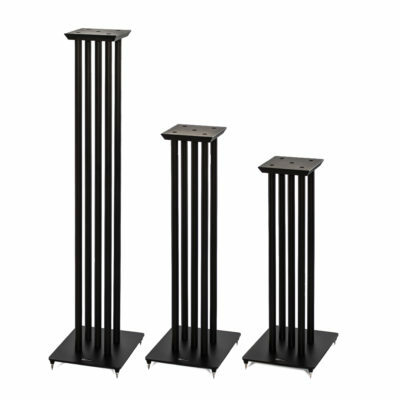 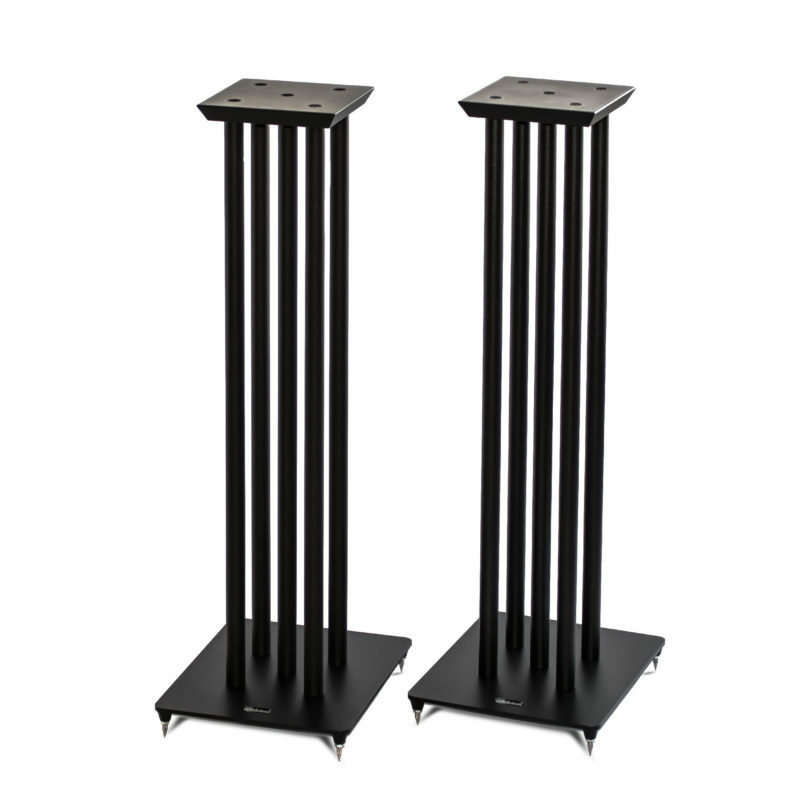 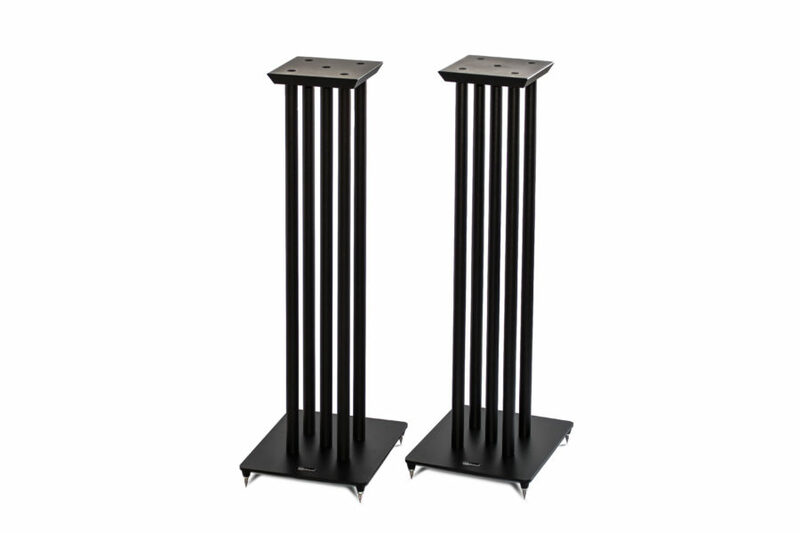 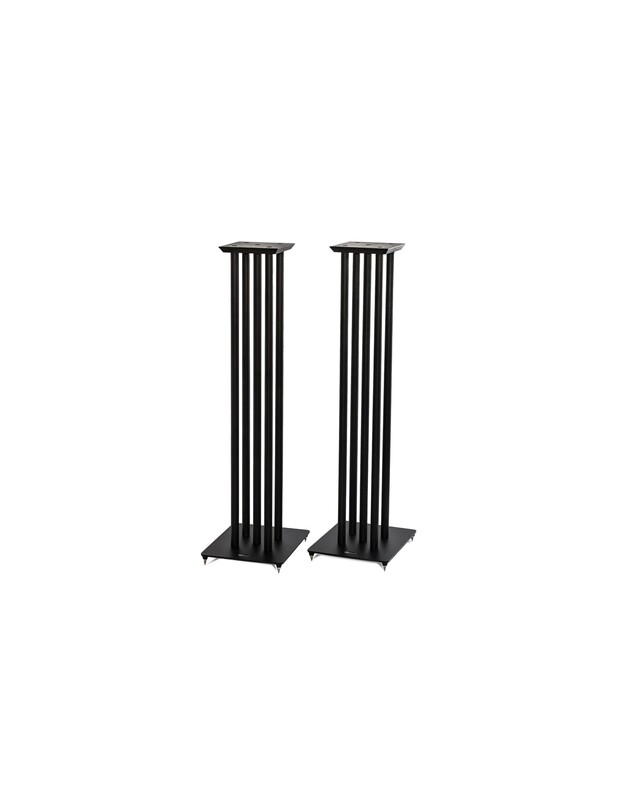 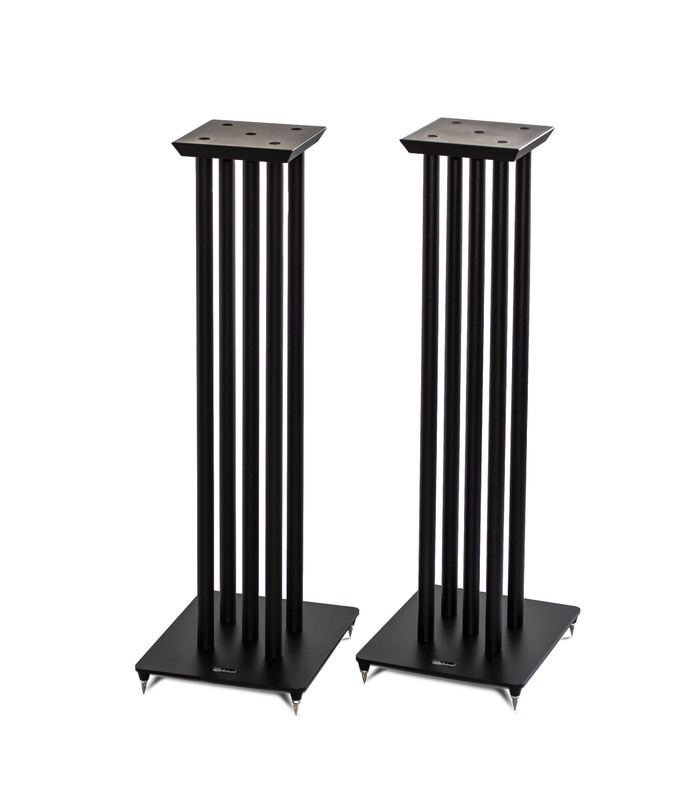 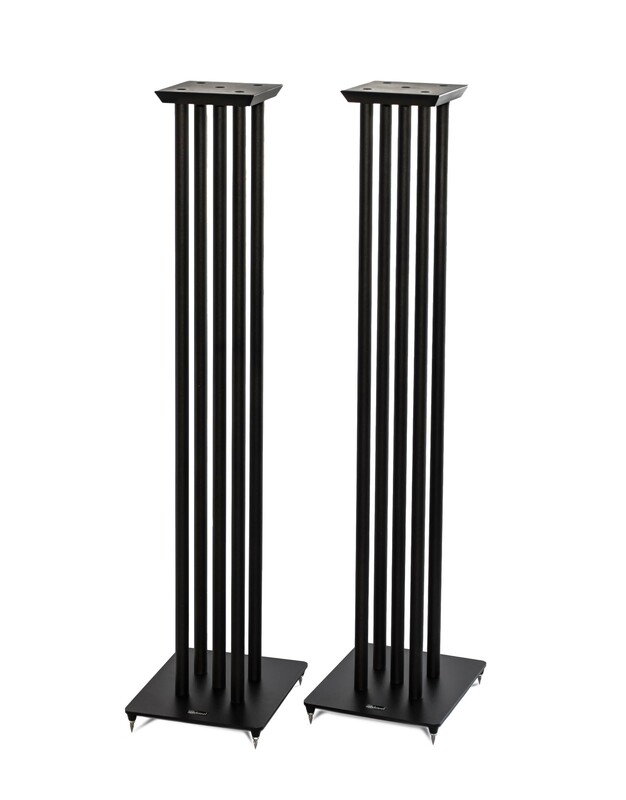 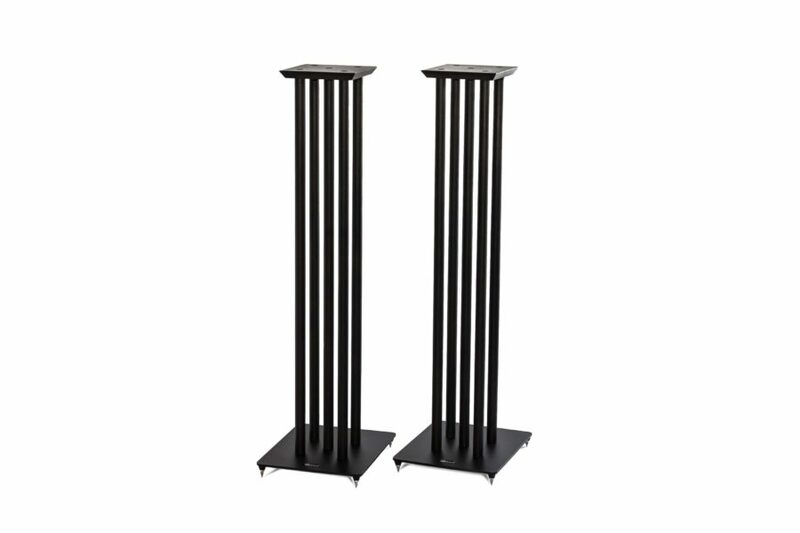 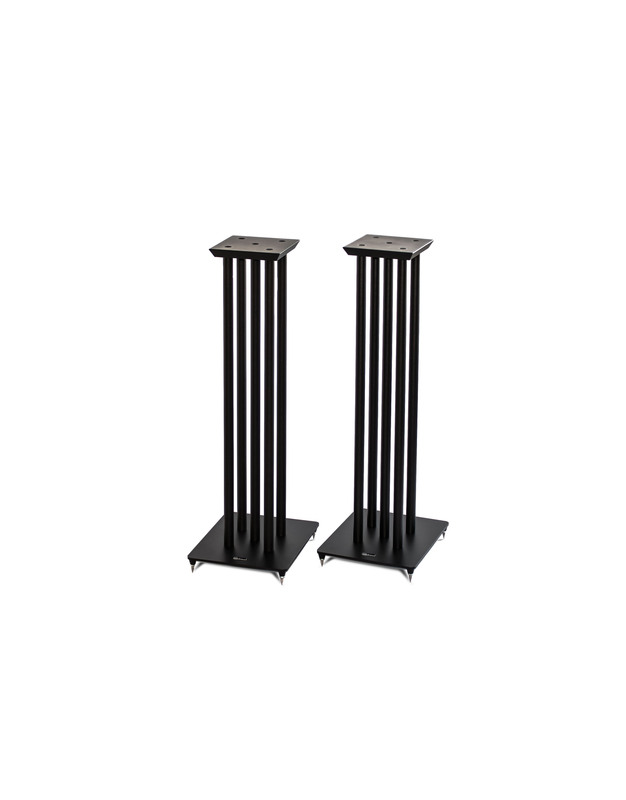 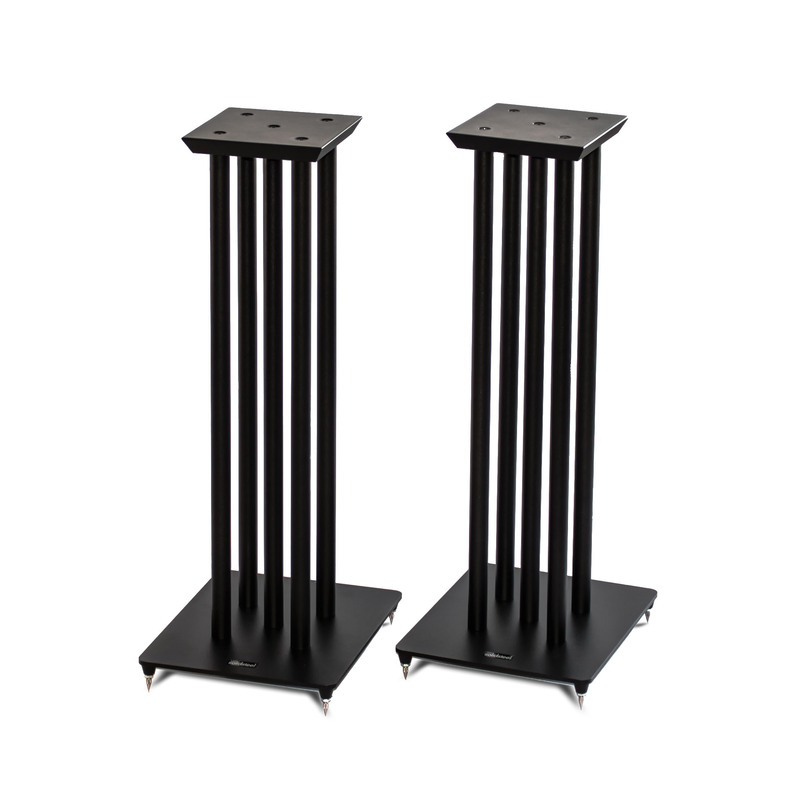 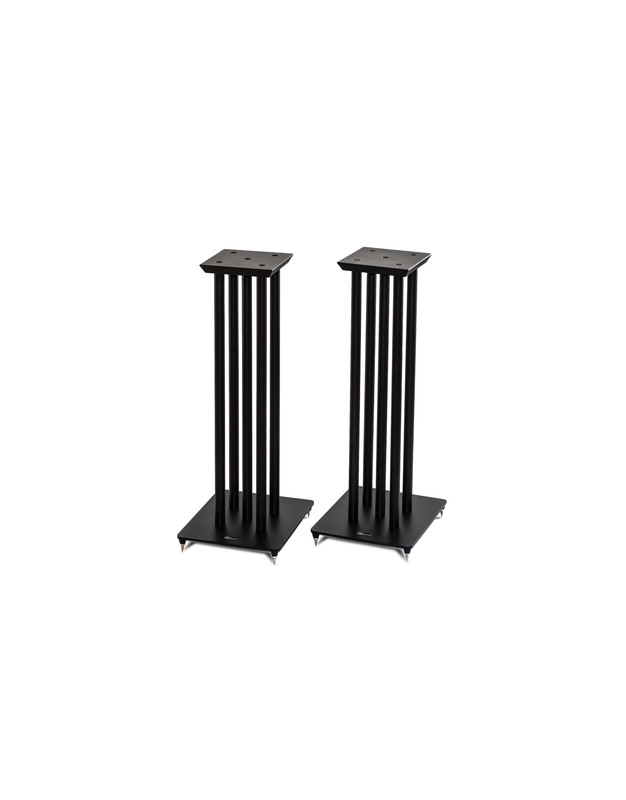 This range of stands is our basic Series designed for the largest number of loudspeakers, ideal for any kind of space and room, perfect also for being selected to support central speakers or loudspeakers used as satellites for surround systems in home cinemas and home theaters. 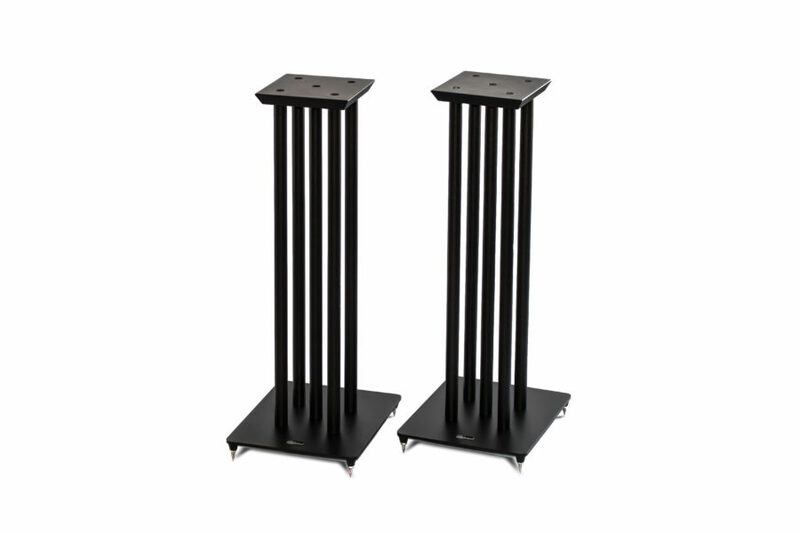 Each stand is made of 5 iron pipes finely painted in black, screwed between a wooden (and painted) top plate of 160x160 mm and a bottom steel plate. 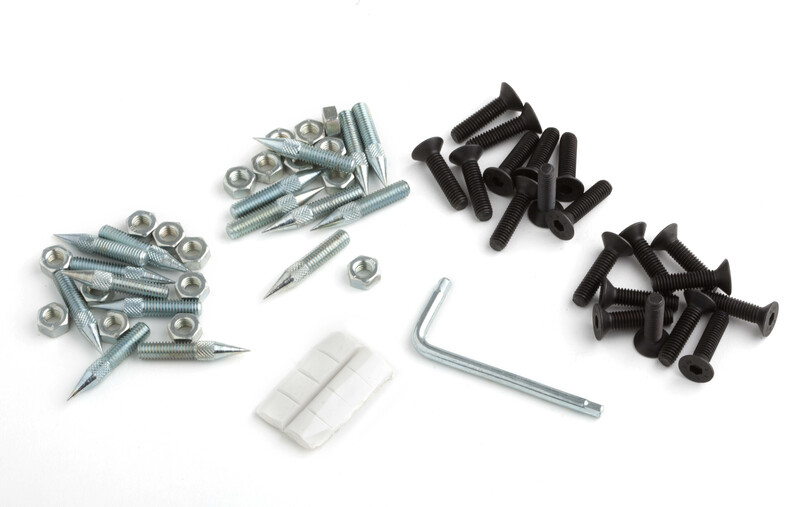 The bottom metal cones are threaded to support our traditional height-adjustable, stainless steel spikes. 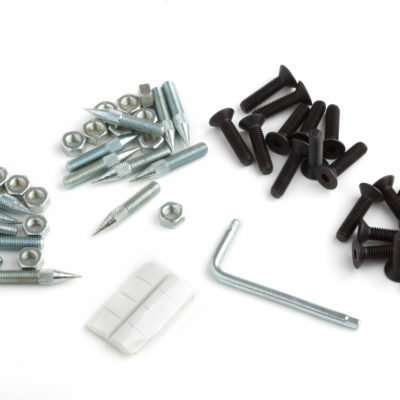 The iron pipes also have screws which are evetually removable to allow them to be filled with damping material. 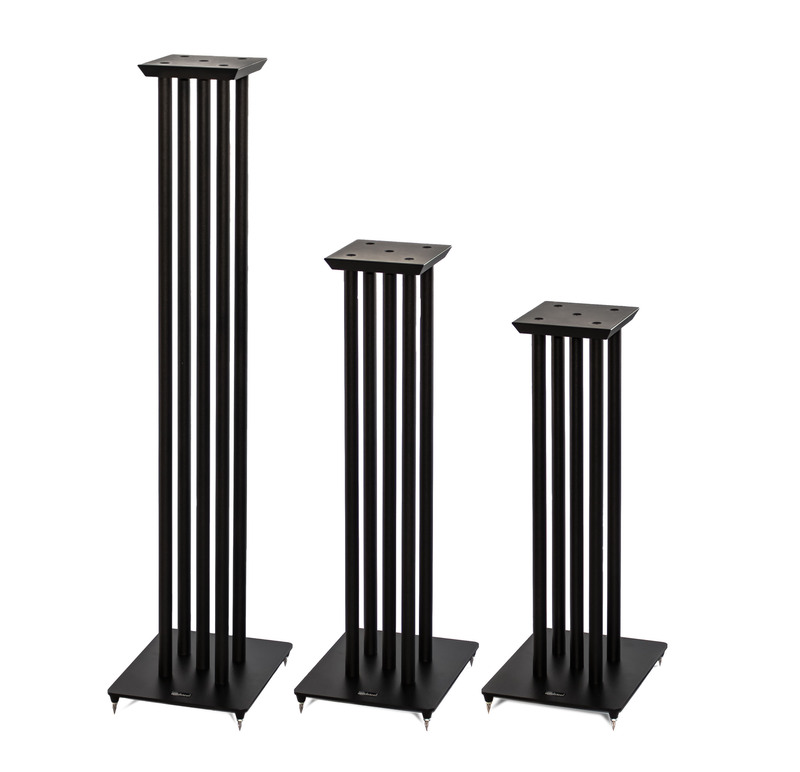 The NS are available in three different configurations: 60 cm, 70 cm and 100 cm. 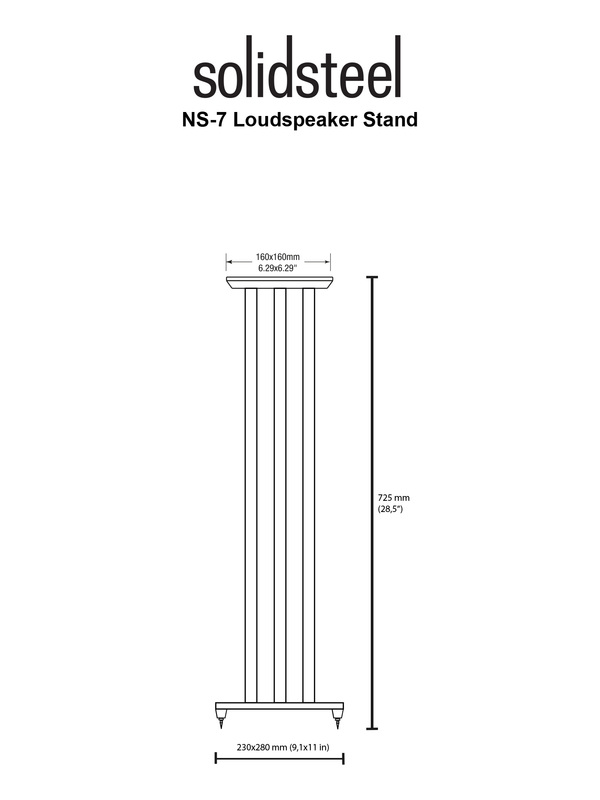 The NS stands are also supplied with “Pata-fix” to properly fix the speakers to the top plate.